Every year there are literally thousands of people in California who become injured at work. When a worker sustains an injury on the job in California, they are covered under California workers’ compensation law. If you have suffered a work related incident or have developed pain as a result of repetitive work or toxic exposure from your job, you have a right to apply for benefits under your employers insurance policy. Work injury law provides for medical attention, money compensation and time off from work to recover from your injuries. Unfortunately, a good number of injured employees have difficulty receiving work comp benefits from the insurance company. Too many times the insurance company will simply not inform the injured worker who is applying for benefits of all the benefits to which the insured worker is entitled to receive. The injured worker not knowing what they should be getting never receives all of their benefits! Other times, the insurance company will completely refuse benefits to the injured worker by denying the claim and declaring that the injury could not have occurred at work at all! No matter what your situation, if you have been injured at work, you should consult about your unique injury situation with an experienced Rancho Cucamonga California workman’s comp. lawyer like Alexander Napolin. When you place a phone call to Mr. Napolin at 1 (909) 325-6032, he will personally provide you with a free and confidential consultation about your unique work related injury situation. Not everyone who applies will receive all the benefits, but our office will work hard to make sure that the applicant receives what they should receive under the law. Every case is different so it is important that your situation be evaluated by an experienced and trusted legal adviser, not by a paralegal or other non-attorney. This is why when you call our firm we put you directly on the phone with Mr. Napolin to discuss the circumstances surrounding the potential claim of injury. Do not have it any other way! 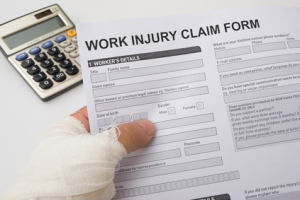 Contact A California Work Injury Lawyer For Help! Even if you ultimately decide not to retain an attorney and file your claim in court, you should seek advice about your legal situation from an experienced lawyer. For a completely free legal consultation with experienced California work injury lawyer Alexander Napolin, all you need to do is pick up the phone and call 1 (909) 325-6032. Or, if you prefer, complete a case evaluation form and submit it at WorkerCompLawyerIE.com and Mr. Napolin will give you a call within 12 hours of your submission for a legal consultation. A legal consultation with Mr. Napolin will leave you with a much better understanding of your legal options so that you can make an informed decision on what do with your work injury claim. Remember that when you receive your obligation free legal consultation with Mr. Napolin, there is no obligation at all to hire him to prosecute your case. And, if you do decide to hire Mr. Napolin to take on the work comp insurance company, you only pay him at the end of your case if you win or settle your claim. All cases are taken on a contingency fee basis, meaning that the attorney fee is paid as a percentage of recovery at the end of the claim. Mr. Napolin has provided a strong voice for literally thousands of of injured employees seeking benefits for California work comp accidents. He looks forward to learning about your unique situation, developing a plan for you and being your strong voice to get you the justice and benefits that you deserve! Get the help of a Rancho Cucamonga CA Workers Compensation Lawyer and find out if you qualify for compensation benefits for either pain and suffering, construction accident injuries, work injuries, wrongful termination, medical bills, illness related to work, wage and hour issues, discrimination, work accident injury, negligence, and loss of pay. 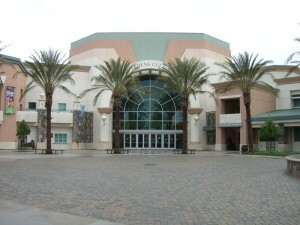 A Rancho Cucamonga Work Injury Law Attorney can help you today understand your specific legal issues. Do not be shy! Call Today to begin a conversation you need to be having with a legal professional immeidately!